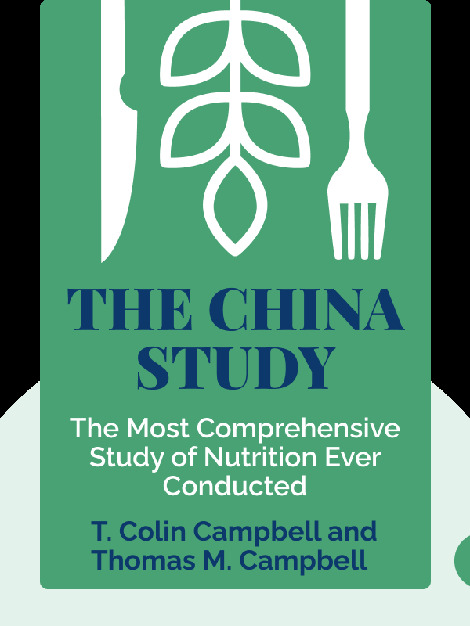 The China Study (2005) is a controversial book that explores the connection between diet and disease, showing you how a diet high in animal-based proteins can lead to a host of health problems. Based on scientific data, these blinks explain why if you want to stay healthy, you should go vegan. 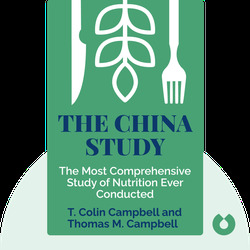 T. Colin Campbell is a professor Emeritus at Cornell University and best known as the author of The China Study. Born on a dairy farm, Campbell went on to study veterinary medicine; he holds a doctorate in nutritional science and biochemistry. A certified family physician and T. Colin Campbell’s son, Thomas M. Campbell II cofounded the Program for Nutrition in Medicine at the University of Rochester. He is both the program director there and at the nonprofit T. Colin Campbell Center for Nutrition Studies.